These lightweight yet sturdy pocket business cards cases are made in metal with a mesh body and flat metal hinged lid. 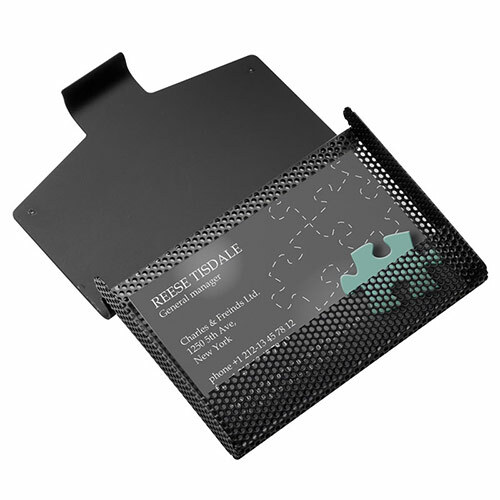 They have a black finish and can hold 8 - 10 standard business cards. 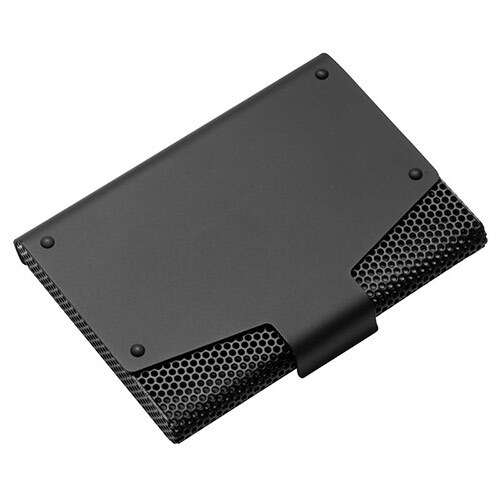 These modern looking card holders can be branded by engraving on the lid and are offered here with free text and logo engraving.